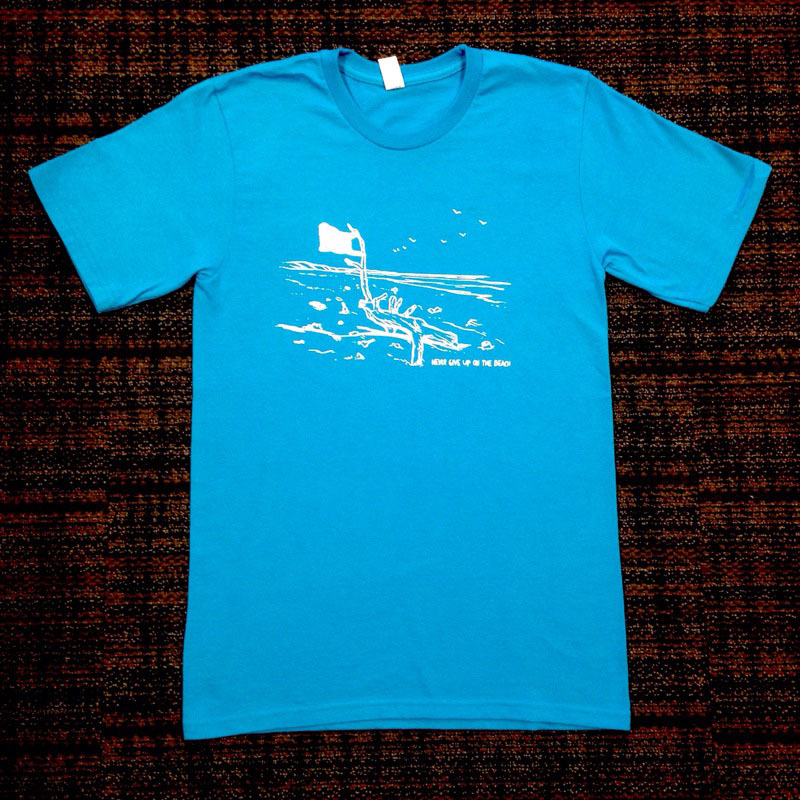 A souvenir of California Coastal Cleanup Day 2014, this shirt is made of 100% cotton. Text on front reads, "Never give up on the beach." Adult shirt is blue, youth shirt is teal. Back shows event date and sponsor logos.